Danny Katz, CoPIRG Foundationâs director, helped wish Bustang a happy seond birthday Tuesday. The statewide system was launched by CDOT in 2015. Second year ridership along the west route between Denver's Union Station and Glenwood Springs is up 77 percent over the first year. Starting from Denver’s Union Station, a Bustang ride is $12 to Frisco, $17 to Vail, $22 to Eagle or $28 to Glenwood Springs. For information and ticket prices, visit www.ridebustang.com. DENVER — Horace Greeley admonished Americans to “Go West,” and many of us are using Bustang to do it. Ridership on Bustang’s west route between Denver and Glenwood Springs surged by 77 percent in its second year. It’s up 52 percent statewide. Bustang turned 2 years old this week, and staffers with the public interest group CoPIRG Foundation stood at Bustang’s gate in Denver’s Union Station to welcome disembarking riders of the west route to mark the occasion. They gathered signatures on a large birthday card made out to the Colorado Department of Transportation, which operates the statewide bus service. “Whether you don’t own a car or want to avoid the hassle of driving and paying for parking, Bustang is connecting our biggest cities and economic areas via WiFi-equipped buses,” Katz said. Katz said it’s “crazy” that it took until 2015 to launch Bustang, but now that Coloradans have it, we’re using it. 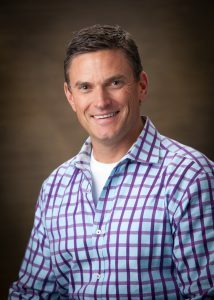 “We should keep expanding the service until everyone in Colorado has transportation options,” Katz said. 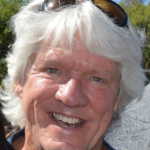 The vision is to connect Bustang with regional transit systems such as Eagle County’s ECO bus system and the Roaring Fork’s RFTA. Bustang runs three main routes from Denver’s Union Station: South to Colorado Springs, north to Fort Collins and West to Glenwood Springs. Katz said CDOT is planning to expand weekend service and add new stops and additional buses to existing routes during the work week. When the Colorado Department of Transportation launched Bustang in 2015, it wanted to make it as Coloradan as possible, hoping the bus would conjure up visions of the mustang as part of Colorado, the Broncos, even the blue mustang at Denver International Airport. 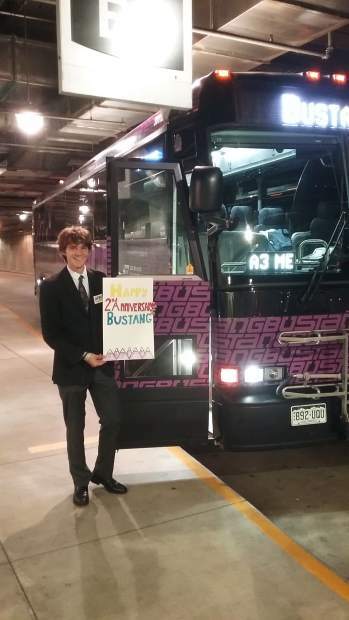 In some places, it’s even becoming a verb, as in, to “bustang” into Denver. The now-familiar buses are black and purple, as in “purple mountains majesty,” which we have in abundance out here in Colorado. 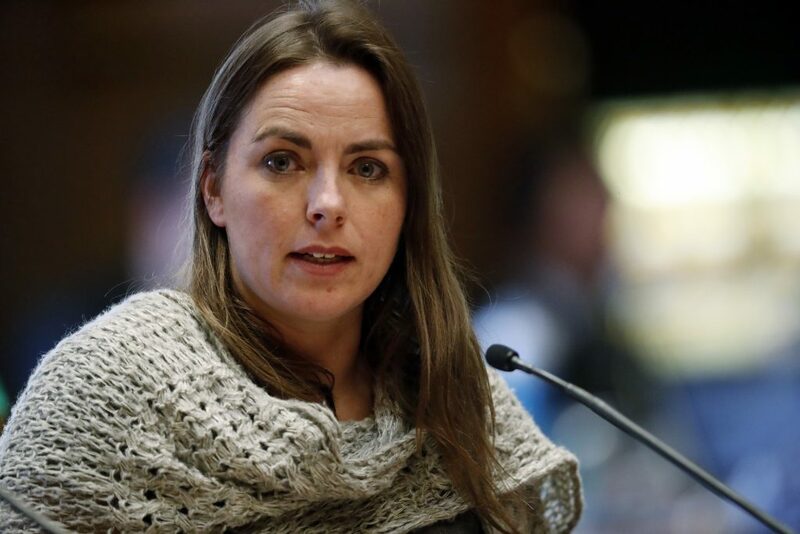 The idea is to connect as many of Colorado’s local transit system as possible (six, so far), said Amy Ford, CDOT’s communications director. 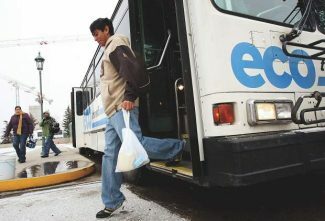 For example, it’ll drop you at the Vail Transportation Center and the Eagle park and ride in Eagle County, where you can pick up an ECO bus or Vail bus to get around. In Glenwood Springs, you can grab a RFTA bus and roll down the Roaring Fork Valley. The buses are equipped with free Wi-Fi, 110-volt outlets and USB ports. They even have tray tables to help you sit up straight, instead of hunched over with your screen in your lap.